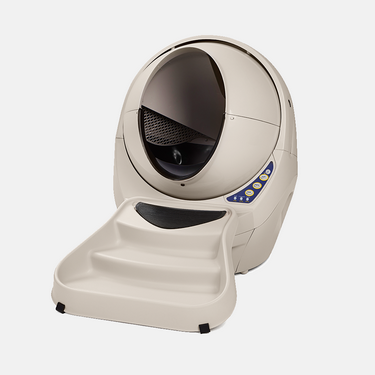 Keep your cat happy and your home clean with the Litter-Robot 3 Ramp, designed to fit in front of the unit with the existing Litter-Robot Step Mat. 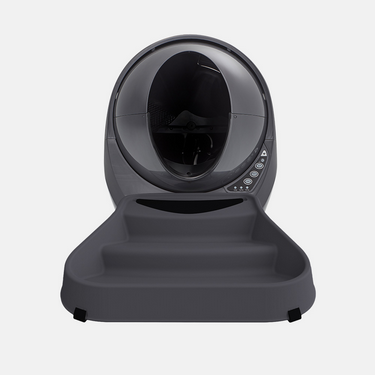 For the really messy cat: The fence snaps on to the entrance of the Litter-Robot 3 to promote your cat's full entry into the globe. 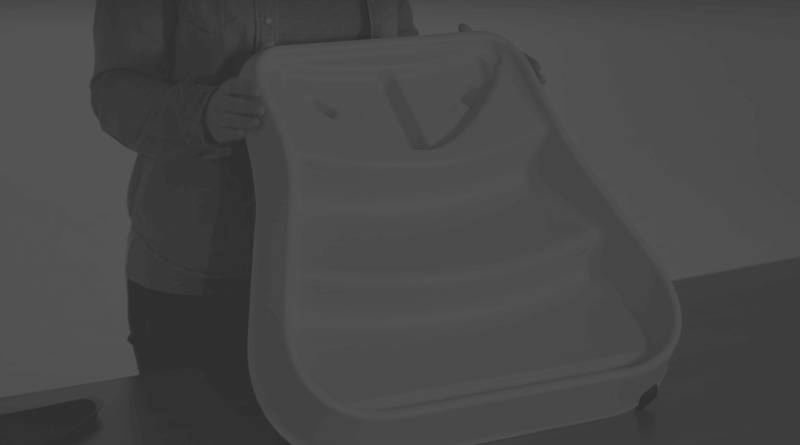 It acts as a barrier to contain kicked-up litter and helps prevent those half-in, half-out messes. The fence is easy to clean and simple to install—there are no tools required. 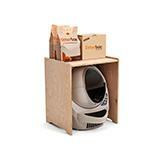 The ramp provides a gentle walkway for your cat to enter and exit the Litter-Robot 3, while reducing litter tracking. 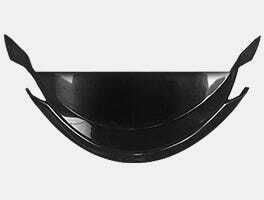 Most cats hop onto the step and into the globe without any problem. 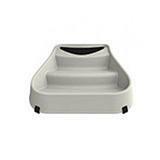 For small cats or elderly cats, however, the ramp makes the Litter-Robot more accessible and easier to use. 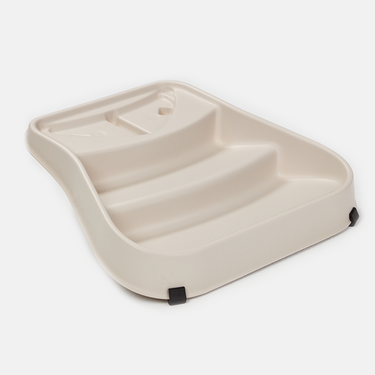 The ramp reduces litter tracking by catching it on the way out. 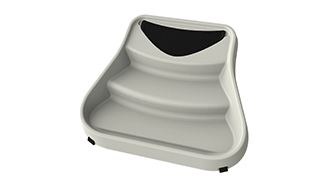 Instead of your cat's first step being onto your floor, it is now on the ramp, which has a textured surface to help remove litter from your cat's paws. The raised lip around the perimeter of the ramp catches tracked-out litter, so all you have to do is vacuum or wipe it up. 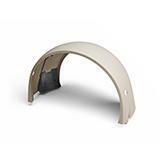 The ramp is easy to install and does not require any tools. 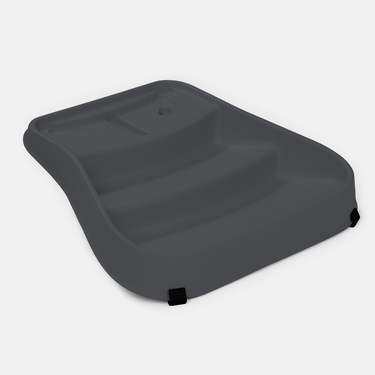 Simply remove the black rubber step mat on your Litter-Robot to reveal a recessed mount for the ramp. Place the narrow end of the ramp on the step, then place the step mat in the recess of the ramp. To access the waste drawer, just lift the ramp off the step and set it aside. 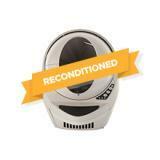 Access the waste drawer like normal, then replace the ramp on the step.